This small churchyard is situated on the B917 'Old Perth Road' which skirts the edge of the town of Cowdenbeath in Fife. 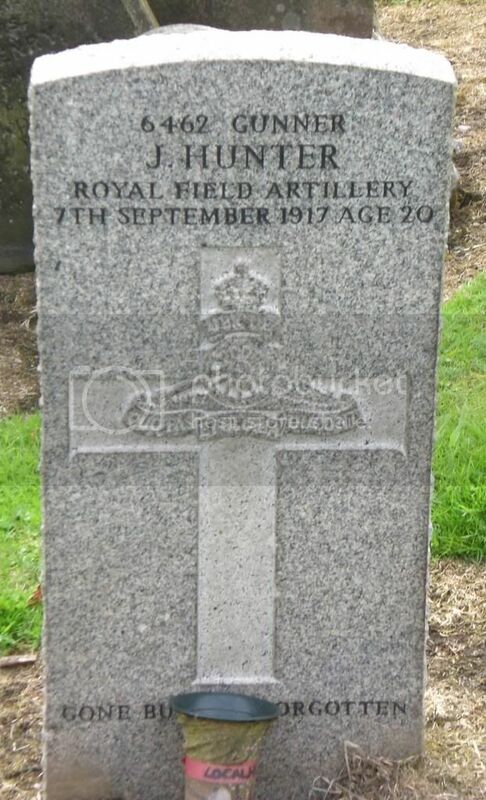 It sits adjacent to Beath Cemetery and there is one grave listed on the Commonwealth War Graves website and an additional three family headstones which commemorate the fallen. Cemetery: Norfolk Cemetery, Bercordel-Becourt, France. Grave Ref: I. C. 40. Additional Information: Commemorated on above headstone in Beath Parish Churchyard. 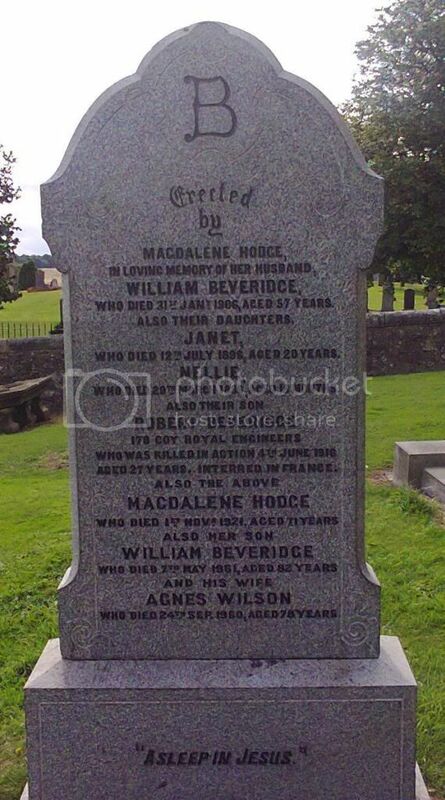 Son of William and Magdalene Beveridge, of 24, Croall Place, Kelty, Fife. Cemetery/Memorial: Bay 6. Arras Memorial France. Additional Information: Also commemorated on above headstone in Beath Parish Churchyard. 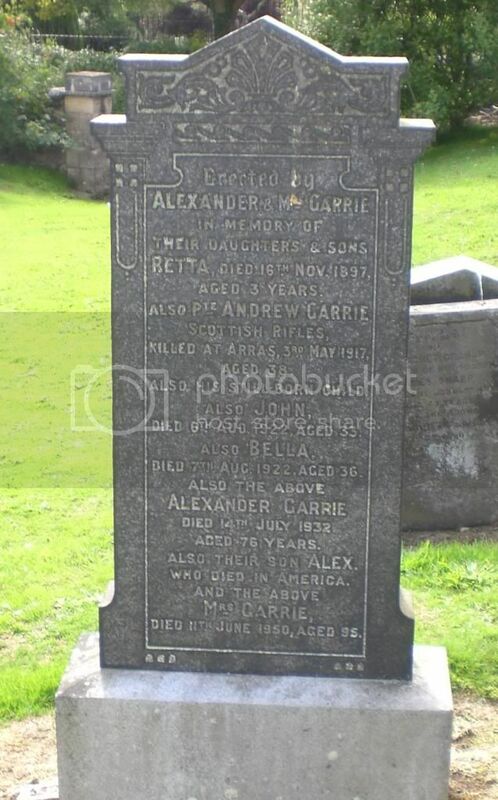 Son of Alexander and Mrs Garrie. Regiment/Service: 8th Bn. Australian Infantry, A.I.F. Additional Information: Also commemorated on the above headstone in Beath Parish Churchyard. 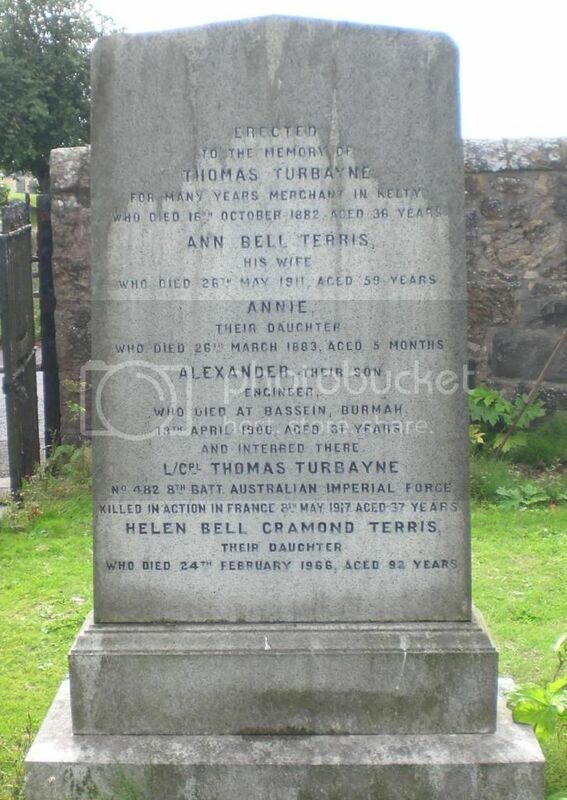 Son of Thomas and Ann Bell Terris Turbayne of Kelty, Fife.